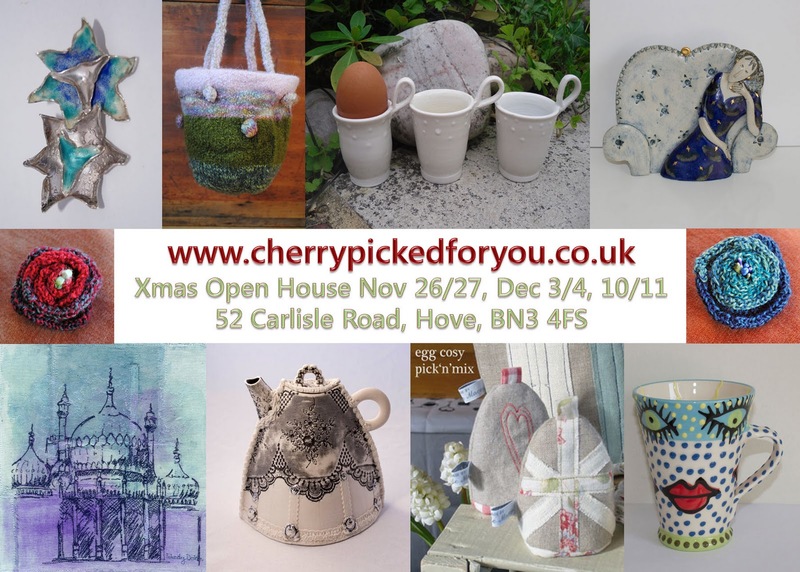 We are getting ready for our Open House as part of the Christmas Festival in Brighton and Hove. This is the chance to see all the lovely goodies on our website where they are available to buy. So..save the postage and packing costs and come along where a warm welcome will await you. 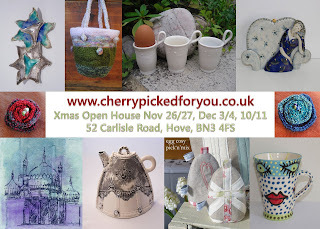 We have wonderful gift ideas, handmade christmas decorations and cards. We fling open our doors at 11am until 5 pm. Why not make it a day out as there are lots of other venues taking part. The brochures are available all around Brighton and Hove which lists the venues and dates and times each house is open. We are on page three, and our house is listed as number 4 in the official brochure. only 42 days to go to Christmas! !